Blog SHOP and EARN REWARDS! Loyalty deserves a little reward!!! With our points program you can earn reward points when you purchase products from The Diaper Drawer! Save your points and redeem them to save money off of your next purchase! Earning points online is automatic! You will receive 1 point for every $1 you spend online! To earn in store simply send us a Facebook message or email with a picture of your receipt and we will automatically add the points to your online account! Simply choose to use your points at checkout! Please note that while points can be earned in store, points can only be redeemed on online orders (which can then be picked up in store). 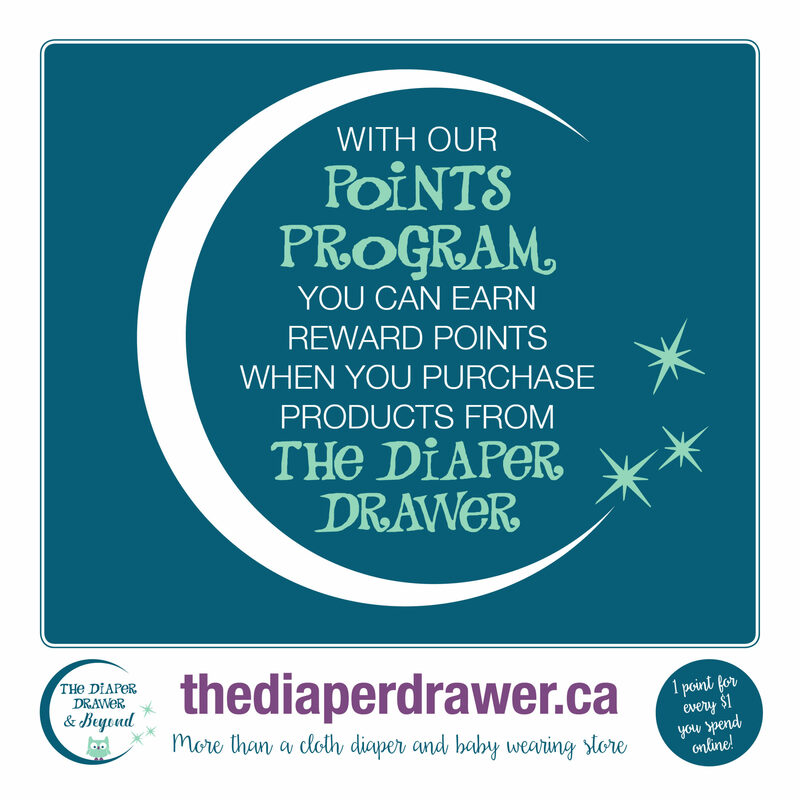 The Diaper Drawer may offer special points bonuses during sales periods, follow our Facebook Page for special offers! Points are not transferable to any other account. Any reward points earned on merchandise that is later returned will be debited from rewards point balance.